SKU: Ninja Porter BBQ Sauce. Asheville Brewing Company, located in Asheville, NC has been brewing some of the finest hand crafted beer mankind has ever tasted since 1998. 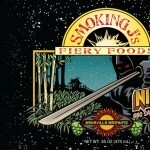 Smoking J’s Fiery Foods is proud to partner with this great business to bring you our Ninja Porter BBQ Sauce. ABC’s 2014 World Beer Cup GOLD winning Ninja Porter combines the perfect BALANCE of malt and hops, creating a satisfying body with a HARD HITTING chocolate finish and notes of coffee and caramel. 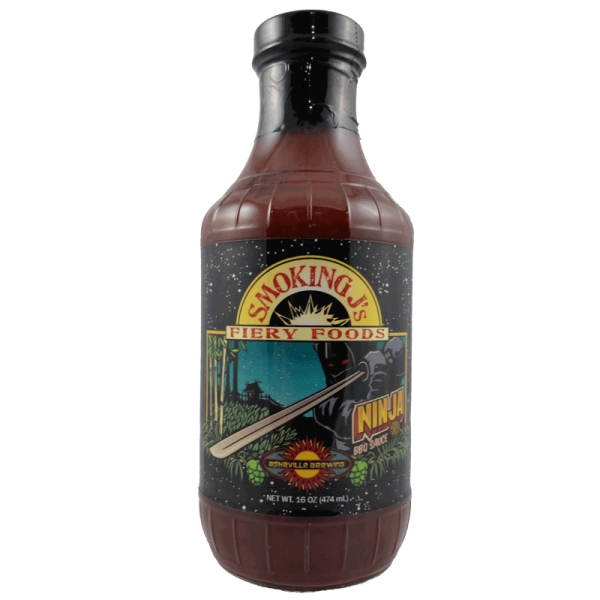 These flavors are the perfect compliment to the apple wood smoked chipotle peppers which provide the STEALTH KICK in this thick, slow cooked BBQ Sauce. Let your inner NINJA out!